Sainsbury's is taking aim at Tesco in a TV ad that promotes its basics range, while taking a swipe at its rival's ethical credentials. 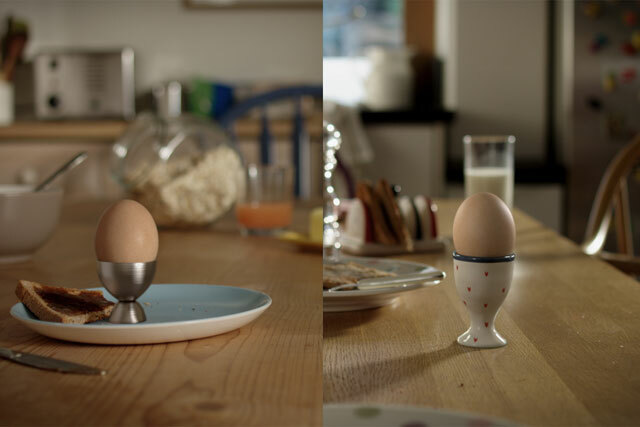 The 30-second ad launches during 'Coronation Street' on ITV1 tonight and highlights how Sainsbury’s basics eggs are not only the same price as Tesco’s Everyday Value eggs, but also sourced from non-caged hens. Later ads in the #ValueofValues campaign will feature Sainsbury’s ham, MSC-accredited fish fingers and Fairtrade tea that Sainsbury’s claims all have "strong ethical credentials". Sarah Warby, marketing director at Sainsbury’s, said: "We know that at the start of the year, value is more important than ever, budgets are tight and our customers are looking for ways to save money, but nobody wants to compromise on the quality of their food..
"Our new campaign aims to reassure customers that when they buy Sainsbury’s basics they don’t need to sacrifice their values, something that many of our major competitors aren’t able to say to shoppers who buy from their value ranges." The campaign comes as Kantar figures claim Sainsbury’s was the only one of the big four supermarkets to resist pressure from Waitrose and discounters Aldi and Lidl. Sainsbury’s held its market share and outperformed the market with year-on-year growth of 3.1%. Edward Garner, director at Kantar Worldpanel, said: "Among the big four, only Sainsbury’s was able to resist the relentless pressure from the discounters and Waitrose."